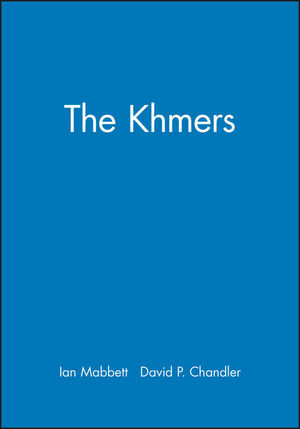 This is a history of the Khmers, the people who for thousands of years inhabited the wooded interior of Cambodia. One hundred and fifty years ago the representatives of imperial France were astonished to find half-buried within the jungle the still magnificent ruins of vast temples. Justly described as one of the wonders of the world, these were the remnants of the once great Angkor empire. Since then archaeologists and historians have attempted to piece together its history. This book presents the result of these endeavours in the first account of the history of Khmer civilization to be published for many years. Ian Mabbett is currently in the History Department at Monash University, teaching courses covering traditional Asian cultures and religions. His present research interest is in the history of Buddhism. His previous books include Kings and Emperors of Asia (1985), Modern China (1985) and A Short History of India (second edition, 1983). David Chandler is currently Visiting Fellow at the Woodrow Wilson International Centre for Scholars, Professor of History at Monash Univesity and concurrently research director at the centre of Southeast Asian Studies, Monash University. His previous books include Brother Number One: A Political Biography of Pol Pot (1992), The Tragedy of Cambodian History: Politics, War and Revolution since 1945, (paperback edition, 1993) and A History of Cambodia (second edition, 1992). 2. Images of the Khmers. 5. The Rise of Cities and Indian Influence. 6. The Beginnings of Khmer History. 7. The Early Khmer Kingdoms and the Rise of Angkor. 8. The Kings of Angkor. 15. Jayavarman VII and the Decline of Angkor. 16. From the Fall of Angkor to 1945. Appendix 1: Chronological Survey of Angkor's Rulers. Appendix 2: The Periodization of Religious Art and Architecture. Bibliography and Guide to Further Reading. * The best history of Cambodia and its people, from prehistoric origins to the present. * The first and only account in English of the origins, culture and history of the Khmers - the people originally of inner Cambodia, latterly of the whole country. * The fullest reconstruction in any language of the history, religion and daily life of the great Angkor Empire (which flourished c.800 - 1400 AD) and whose colossal and jungle-buried architectural achievements have been the subject of intense archaeological investigation over 150 years. * A history of the country's long period of trouble and decadence culminating in Pol Pot's murderous regime in the late 1970s. * Fully illustrated with maps and photographs.